RUSH: You know, it amazes me what makes news that happens on this program. You know, yesterday Mr. Snerdley and I were talking about Mick Jagger and his heart valve surgery that he’s gonna get done in the U.S. instead of the U.K. national health system, whatever it is. That’s its own little interesting point. But here is Mick Jagger, who is, I have to say, he’s a health nut. He’s a vegan, he did everything right after his initial flirtation as a young rock guy with all of the temptations out there. He is rail thin. He is well known as a physical fitness aficionado. I don’t even think the guy consumes adult beverages anymore. And he’s got a heart valve replacement operation slated in a couple of days, on Friday, gonna have it done in New York. On the other side, here you got Keith Richards, who I think has sampled every recreational and pharmaceutical drug there is that alters the mind. He has spent his life doing this. He has spent his life smoking cigarettes like a chimney. He has consumed, and continues to consume, adult beverages in quantities people can’t keep up with. And the guy doesn’t have a single health problem. He looks like he does, but he doesn’t. So I made mention of this on the program the other day and just refreshed your memory of that discussion. So let’s go to CNN International newsroom last night. Anchor John Vause speaking to the Emory Structural Heart and Valve Center co-director, Dr. Vasilis Babaliaros, about Mick Jagger’s heart surgery. To set things up they played a clip of me. VAUSE: Talk show host Rush Limbaugh seemed to put into words what many were thinking. Listen to this. RUSH ARCHIVE: This boggles my mind. Take a look at Keith Richards, the guy has defied everything. The guy has done so much coke, the guy has done so much heroin. He still gets up, drinks a bottle of beer first thing out of bed. He smokes cigarettes like he owns the tobacco company. 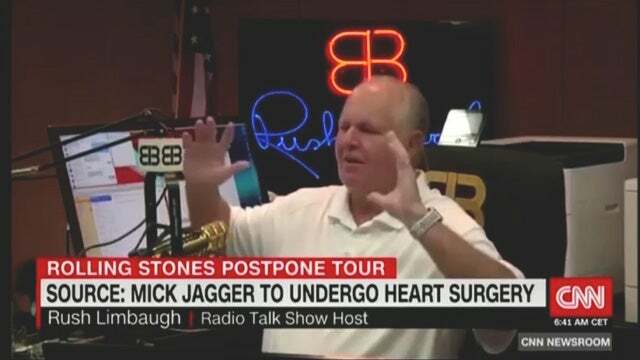 RUSH: And they used me to say, “Hey, hey, Limbaugh’s saying here what a lot of people are thinking.” And so they now go to the heart specialist at the Emory Structural Heart and Valve Center to have all of this explained to us. BABALIAROS: Some of it’s luck. A lot of it’s genetics, and certainly diet doesn’t seem to affect valve disease that we’re aware of. 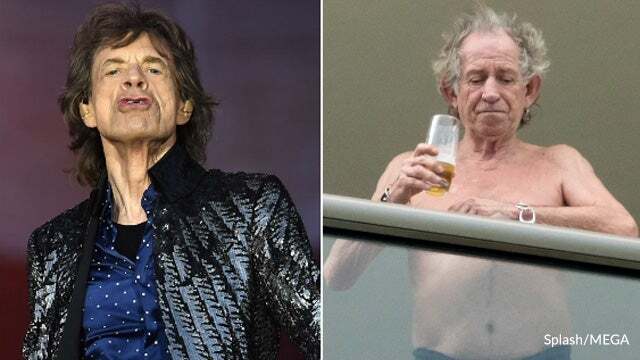 So though I think the vegan lifestyle or the vegan diet did help Mick do all his touring for years and years, I’m not sure it had any effect on his valve disease. BABALIAROS: Keith is an enigma and will remain so, a medical mystery. So we’re rooting for both of them. RUSH: Yeah, but when you got guys like Keith out there, don’t they defy all the conventional wisdom? “No, no, no, Keith is an outlier. You shouldn’t follow in Keith –” Why not? Why not? I mean, Keith Richards has virtually challenged every medical requirement and then some, and he has survived, and, by the way, triumphed over all of them. RUSH: For those of you on the Dittocam, we’re gonna throw a couple of pictures up, and they’ll be at RushLimbaugh.com as well for those of you who are not members of Rush 24/7 and therefore do not have access to the Dittocam. Okay. Make the switch. Which of these two guys looks like he’s having a heart problem that might need to be dealt with fairly soon? The guy on the left is Mick Jagger. The guy on the right is Keith Richards from this week, taken from a pool area I think at a hotel balcony. He’s outside his hotel room and that’s a little beer. This is early in the morning. By the way, that’s how his hair looks all the time. That’s not just pillow hair. Which of those two guys looks to you like — the guy on the left is 75. The guy on the right is, I think, 73 or 74. The guy on the right is Keith Richards. He’s the lead guitarist and he’s half of the writing duo. By the way, he’s got an album, 30 years ago his first solo album and this is the anniversary week of it, that’s why he’s drinking a beer and hanging out at the hotel. He’s celebrating the remaster of his first solo album 30 years ago. Well, he’s probably drinking a beer ’cause it’s Wednesday, but I think the photo’s actually from Tuesday. My favorite Stones record? Happy. Which is not a Mick Jagger lead vocal. In fact, I think it’s a Keith Richards lead vocal. Anyway, also Honky Tonk Woman. Well, yeah, Under My Thumb. Under My Thumb’s in my top five all-time favorite Stones tunes, yeah. RUSH: Well, we got some Stones bumper music going here. Can’t Get No Satisfaction. I got a buddy, a friend of mine, my Los Angeles chauffeur and pizza delivery guy just sent me a message that he had to have heart valve replacement. He reminded me, I knew it, and his heart valve replacement involved pig parts. You know, they used a cat’s gut for stitches in some cases, but his heart valve replacement involved pig something or other. I don’t know why he mentioned this to me but I guess he wanted me to think of him as I was thinking of Jagger, which I don’t do much, but everybody is now. RUSH: Here’s John in Indianapolis. You’re next. Great to have you with us the EIB Network, sir. Hello. CALLER: Hey, that’s great. Hey, the Rolling Stones are the best band in the world, and here’s why. Because they’ve outlived Whitney Houston, Janis Joplin, Prince, Jimi Hendrix, Tom Petty, Jim Morrison, Gregg Allman, the Beast Boy, a Monkee, the guy from Queen, two AC/DC guys, Chris Cornell, Kurt Cobain, the Lincoln Park guy, a Led Zeppelin drummer, Aretha Franklin, and Elvis. RUSH: Yeah, you know, that’s a great point. He’s talking about all the rockers who’ve died, some of them from just choking on a sandwich. How many sandwiches do you think Keith Richard’s has eaten and never choked? He’s outlasted all these people. That’s why you think they’re the greatest band ever? CALLER: That’s correct. Well, not only that, because their long distance longevity and I suggest everybody in your listening audience buy their last album Blue & Lonesome, and my favorite song of all time from them is Tumbling Dice. RUSH: Tumbling Dice is not on Blue & Lonesome. RUSH: Oh, the best song on Blue & Lonesome. Hang on. I gotta take a break. I’ll tell you after the break, I’ll tell you after the break what the best song on Blue & Lonesome is. RUSH: The best track on the Stones album Blue & Lonesome, and I think it’s like a couple of years old. When you listen to it, remember, these guys are in their seventies. But the best track on Blue & Lonesome is Just Like I Treat You. It’s a throwback Stones song. It actually sounds like a Stones song that would come from their heyday in the seventies. I played it for you once, Snerdley, and you loved it. It’s not the title track. Blue & Lonesome is the title track, but Just Like I Treat You. That’s the track on Blue & Lonesome. I’ll play a little bit of it when we get back here. In the meantime, an obscene profit break. RUSH: So I got a very interesting email during the break. “What do you mean, you’re talking about the best song on a new album? You tell us that you can’t recognize new music that you’ve never heard before.” I can’t! I don’t know if it sounds to me the way it sounds to you. I try to listen to new music and if I find something I like, I listen to it. I have no idea — in fact, no. I know I’m not hearing it the way you do. I don’t hear melodies and all that, and I really don’t hear words, the lyrics, I have to have the lyrics up if I care about ’em. I usually don’t. But no. It’s the instrumentation, the baseline, the stuff that I can easily hear, that’s what attracts me to music now, but not melodies. Anyway, welcome back. Rush Limbaugh here at 800-282-2882. In honor of heart valve replacements of 75-year-old rock ‘n’ rollers we just had a guy talking about the virility of the Rolling Stones and how many great rockers they’ve outlived and he had a quite comprehensive list. It makes them one of the greatest brands of all time. And he brought up the fact that Tumbling Dice is the best tune and the best album is Blue & Lonesome. And I misheard him. I thought he was saying Tumbling Dice was on Blue & Lonesome. It isn’t, of course, it’s an old tune. Blue & Lonesome is in the past two years. So I corrected him and I said the best song that I’ve — in fact there’s only two songs on this album that I can even approach to sounding like music to me. So the best one on it is this one, which is called Just Like I Treat You. And this one is a throwback. I think the reason why it appeals to me is ’cause it sounds like the Stones from back in the sixties and seventies. Now, in fact, when I first heard this I thought this is Missing You, sounds like the same opening, the same lay down track is Missing You. And I thought these guys are getting lazy, they’re writing derivatives of previous hits. Okay. That’s enough of it. I know you’re not here to listen to rock ‘n’ roll and top 40 but that’s the Stones and that’s what I think is the best tune on the Blue & Lonesome album. And I’ve tried to find a video of it, and there isn’t. There’s a video overall of them horsing around in the studio recording the songs and stuff, but I haven’t found a music video for that particular song. Maybe it’s out there by now. RUSH: Here is Robert, Pensacola, Florida. Great to have you, sir. Glad you waited. Hi. CALLER: Hi, Rush. Great to be able to speak with you. RUSH: Thank you, very much. 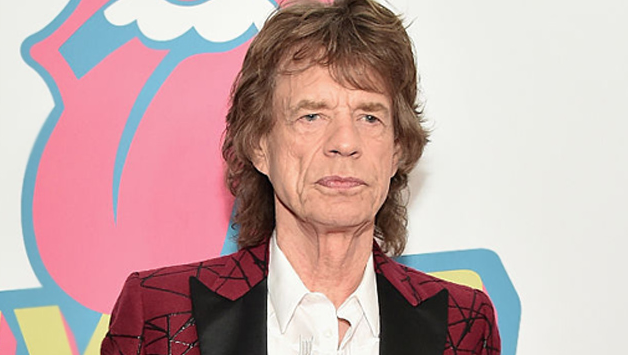 CALLER: Hey, I wanted to get your thoughts on Mick Jagger being a vegan, possibly receiving harvested animal parts in his heart valve surgery. RUSH: Oh, you know, that’s an interesting thought. I had not considered that. Now, my chauffeur and pizza delivery guy in California told me that his heart valve involved pig parts, but I don’t know that Jagger’s does. I don’t know that that’s for everyone. Do you? CALLER: No, I don’t know. That’s why I said possibly. I know it’s fairly common to receive a pig valve replacement, but as far as Mick Jagger’s concerned, no, sir, I don’t know. RUSH: Yeah. Interesting. They told Jagger, now, look, the replacement valve we’re gonna put in here, it’s not the actual pig heart valve. There’s something from a pig that’s part of the surgical process. I don’t know enough to know exactly what it is. (interruption) Well, now, wait, let’s not even go to the gorilla parts because that could end up – remember what happened to that guy that worked for ESPN? You use the word gorilla in the wrong way and it’s curtains for you. Not gonna even talk about gorilla parts in heart valve surgery. We’ll stick with the pig. The point is Jagger is a vegan. Part of being a vegan is you don’t harm animals. Like Paul McCartney said, “I refuse to eat anything with a face.” What about if something from a face is put in you to keep your heart beating? CALLER: Even the catgut stitching. RUSH: Catgut stitching. You see, people remember things that they didn’t know. Catgut is used in stitches, depending on what strength stitch is needed for whatever wound that you have. (interruption) Nope, I didn’t fall. The watch thinks I fell. I have to tell it I didn’t fall. There’s no reason to call 911. Everything’s cool. Tap, tap. There we go. Robert, I appreciate the call. Thank you very much. Oops. Another obscene profit break is upon us, my friends. We’ll do that and be back before you know it.